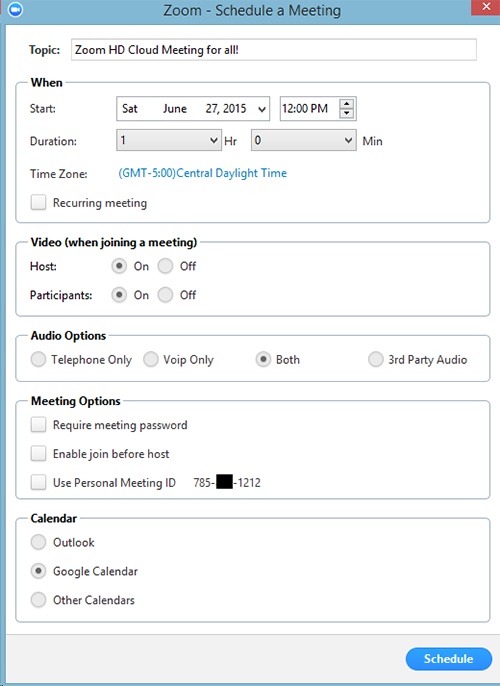 Learn how to make a zoom meeting private. Require a meeting password - Set a password for your guests to enter. Good increase in security, but requires you to distribute the password. Use the waiting room - Control when your guests are admitted to the meeting. Best for smaller meetings. Requiring a password is a straightforward way to increase the security of your meeting. You can send your chosen password to your attendees via email or chat. Be sure to remind attendees not to share the password. Set Meeting Options. See below for details. Under Meeting Options, check Require meeting password. We reccomend that you choose a complex password for maximum security. Follow the guidelines for AD passwords. Note: All scheduled meetings can be started by the host at any time, regardless of the date and time settings. Topic: Choose a topic/ name for your meeting. Time zone: Set time zone. By default, zoom will use your computer's time zone setting. Recurring meeting: Choose if you would like a recurring meeting (the meeting ID will be persistent for the recurring meetings). 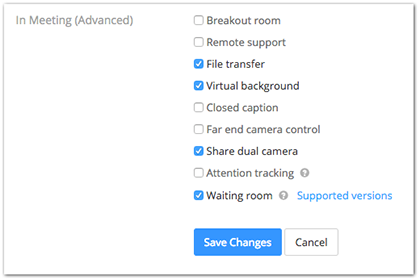 Video (when joining meeting): Set the video default to on or off for host and/ or participants. Audio Options: Choose whether to allow users to call in via telephone, VOIP, or both. Password: Select and input your password. Joining participants will be required to input this password before joining your scheduled meeting. 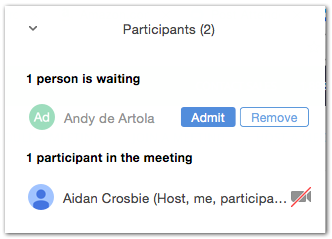 Enable join before host: Allow participants to join your meeting before you. Note: The meeting will end after 40-minutes for Basic/ Free subscriber. Calendar: Add to a selected calendar and send out invites to participants. 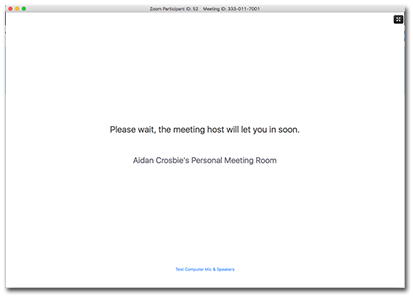 The waiting room allows the host to control when a participant joins the meeting. Click More, select Put attendee in waiting room. Once a participant joins, you will see the option to either Admit or Remove the user. Select Admit to allow them to join the meeting. Note: While a participant is waiting to enter the meeting, they will see the message: "Please wait, the meeting host will let you in soon."